In 2009, I filed a Rescheduling Petition for Cannabis with the DEA, demanding that Cannabis be removed from Schedule 1 of the Controlled Substances Act now that it has “accepted medical use in the United States”. In August 2016, after two lawsuits, the DEA denied the petition. However, they were forced to lift the restrictions against Cannabis research that has prevented the advancement of science for decades. Researches can also grow their own Cannabis for research now, instead of relying on moldy Cannabis from NIDA. The DEA was also forced to admit that Cannabis does not cause psychosis, does not cause lung cancer, does not cause permanent cognitive deficits and is not a “gateway drug”. The illegal action by the DEA, by continuing the total prohibition of Cannabis, places millions of Americans at risk by denying them access to appropriate medical treatment. In May, I filed a new rescheduling petition demanding that Cannabis be removed from federal control and that the States be allowed to develop rules for the Medical, recreational and religious use of Cannabis. The DEA’s complete disregard for the safety and welfare of American citizens demands that Cannabis be taken out of their control. Law enforcement simply has no place in developing health policy and deciding who lives and who dies. 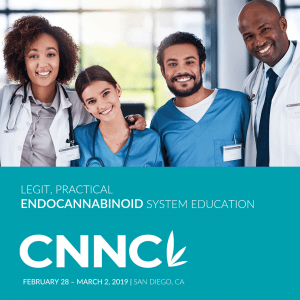 Although the DEA has been blocking the large scale studies they claim need to be done before they will allow medical use of Cannabis, the Center for Medical Cannabis Research at UCSD has conducted several smaller studies of Medical Cannabis that have proven its safety and efficacy. In my clinical practice, Cannabis has proven to be the only medication effective for treating every symptom cluster of PTSD and has also proven to be the only medication effective at rapidly reducing suicidality in most patients. Medical Cannabis laws have been correlated with reductions in suicide rates, opioid overdoses, traffic fatalities and the use of far more dangerous pharmaceuticals. Yet the DEA continues to ignore science, the laws of 29 States, thousands of medical providers and millions of patients. The DEA’s complete disregard for human life has led to hundreds of thousands of needless deaths. The DEA is responsible for the death of more Americans than Al Qaeda, the Taliban and ISIS combined. While they line their pockets with billions of dollars stolen through forfeiture laws, seriously ill Americans are forced to suffer needlessly, and die from lack of needed medical treatment. The DEA has become little more than a well-funded domestic terrorist organization with no accountability for the damage they cause. This reign of terror must end! Nursing has been the most trusted profession for 15 years straight, and nurses have long been leaders in developing healthcare policy. Nurses are recognized for honesty and high ethical standards. We educate healthcare providers, patients, lawmakers and the public. We advocate for our patients in Washington DC, state legislatures and in healthcare institutions. We listen to our patients and act as their voice when they are unable to speak for themselves. 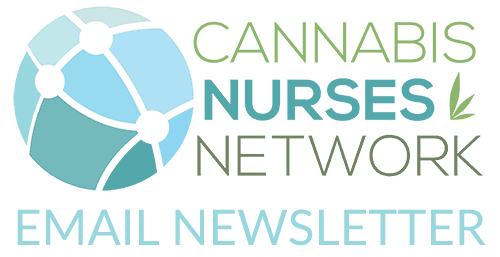 For decades, Nurses have been on the front lines of the battle to legalize Medical Cannabis and we have made great strides in social, medical and political arenas. According to recent polls, 83% of Americans now support legalizing Medical Cannabis. Unfortunately, those with the power to change the law have held stubbornly to outdated propaganda that only serves to obfuscate the need for change. Nurses must continue to keep pressure on lawmakers at both the federal and State levels, to end the prohibition of this life saving medication. We must also keep pressure on the Attorney General, Jeff Sessions, who has supported the death penalty for people who sell Cannabis. We must keep pressure on DEA Administrator Chuck Rosenberg, who continues to claim that Cannabis has no medical use. Together, we can bring this war against the sick suffering to end.